Rep. Sara Wijcicki, at microphone, sponsored legislation to make Springfield the default site for new or vacant state jobs. Gov. 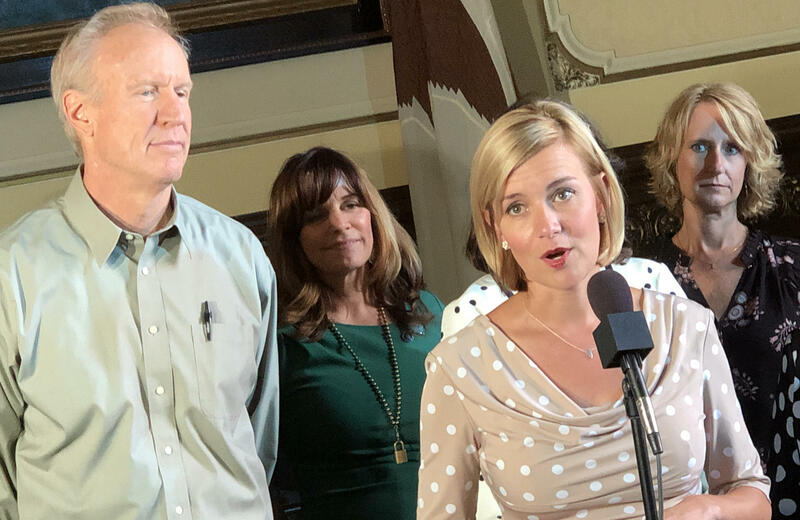 Bruce Rauner, left, signed the legislation Thursday, August 9, 2018. The Illinois government workforce has been shrinking for the better part of two decades. According to the state’s comprehensive annual financial reports, it was down to 62,081 last year, from a modern peak of 89,097 in 2001.